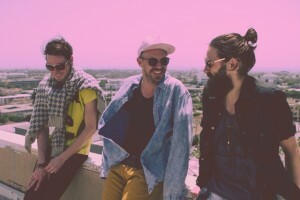 Los Angeles’ critically acclaimed indie-electronic trio Wildcat! 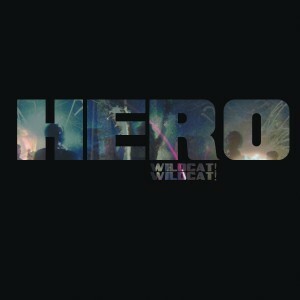 Wildcat! is currently on tour throughout the US in support of their debut album No Moon At All. 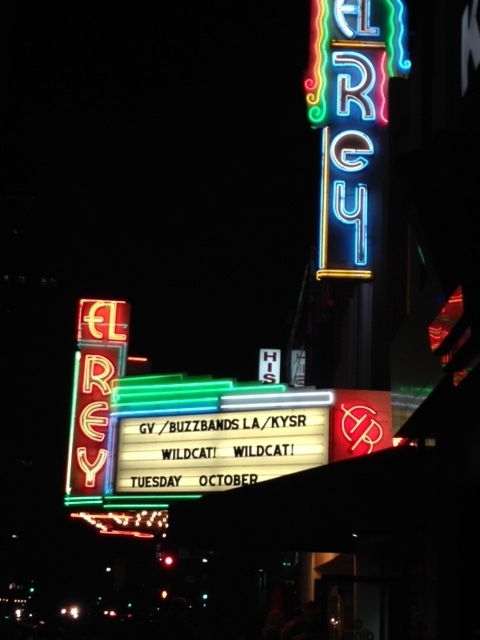 In fact, just lastTuesday, October 21st, I got to see Wildcat!Wildcat! 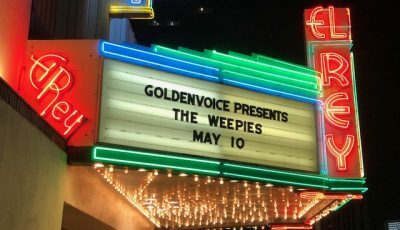 in action at the West LA venue, El Rey Theatre. With buzzing songs and catchy verses, it’s no wonder it felt like a party. 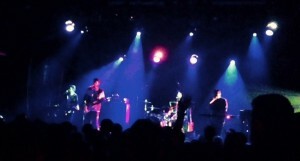 Despite being a relatively new band, audience members seemed to be well-versed in the band’s repertoire. Their set list included “Mr.Quiche”, “Hero”, “Garden Grey’s” and more. Their album, No Moon At All, was released on August 5th via Downtown Records and was co-produced by M83’s Morgan Kibby (aka White Sea) and features a cohesive widescreen vision. Its sweeping arc and range create an emotionally rousing world. Wildcat! Wildcat! are Jesse Taylor (vocals, bass), Michael Wilson (vocals, keys) and Jesse Carmichael (vocals, drums). Can you guys remember the moment that you decided to start a band? Michael: Ironically, it was after our first show. We had been meeting up and playing music for a few months and decided to put a set together and play a show just for fun. Prior to the show we put “Mr. Quiche” up on Soundcloud and apparently people were into it because it was pretty packed. 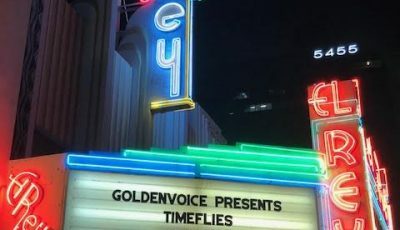 After that show, we kept getting offers to play around LA and figured we would make it official and be a band. How did you come up with the band name? P.S I love wildcats since that was my college mascot! The name is actually a quote from Owen Wilson’s character in the Wes Anderson’s film, The Royal Tenenbaums. It’s been really great to see people really embrace our name and run with it. 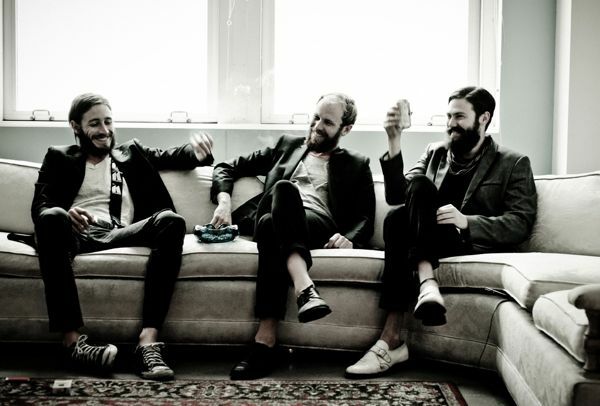 What do you think it is that sets this group apart from other bands out there today? Michael: Musically, I think we are different than pretty much every one out there today and have been since we started. We have been mentioned alongside names like MGMT and Passion Pit but really, I don’t think we sound like anyone. Each of us draws inspiration from so many different sources that the music comes off in a very unique fashion. We never set out to have a “sound” just to create something that each of us are happy with. Something else that has set us apart today is our desire to be connected with our fans. We’ve never wanted to be the musicians that people were intimidated by or afraid to engage with. We draw a lot of inspiration from our fans. 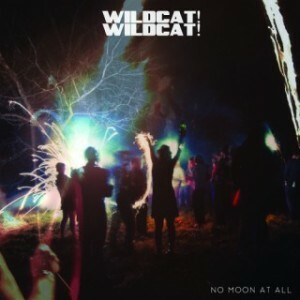 Very recently, the band released their debut album, No Moon At All. What did that feel like? Michael: Artistically, it was extremely liberating. We are all very critical of our music. Early on, it would take us quite a while to finish a song. So when we got into the studio having to complete a full length album under a specific budget and time frame, we were forced us to make quick, well executed decisions. It was difficult at times but overall a great experience. We are all super happy with the record and just want to get it to as many people as possible. 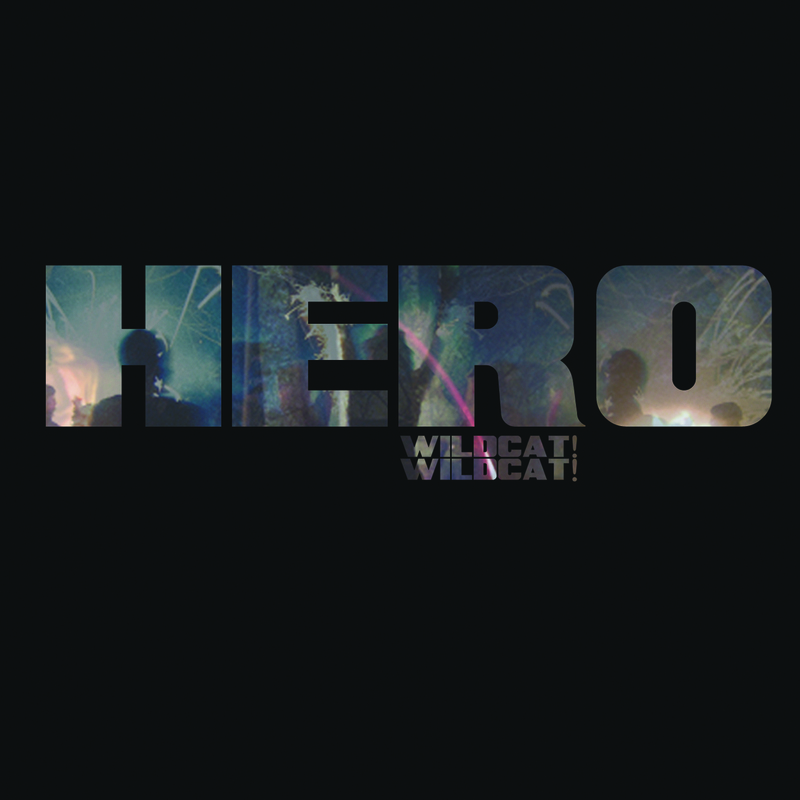 Your single “Hero” is definitely an earworm kind of a song. When making it, did you have that feeling that it was going to be one those songs? Michael: It’s funny when we were writing for this album “singles” were never our focus. Maybe it was a stupid decision from a business stand point but from the moment we became a band we wanted to put together a great album, something that people can listen to front to back. “Hero” was a hell of song to write / record. I think by the end, the only thing we wanted to do with that song was finish it! We call it our “underdog anthem”, but instead of coming out on top the underdog remains. We aren’t really the “happy ending” type of a band. 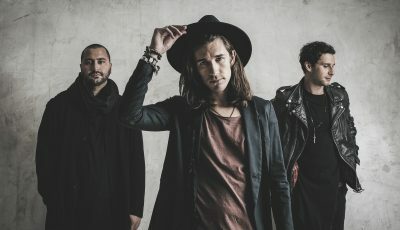 What are other songs on the album that you are excited for people to hear? Any favorites? Michael: At pretty much every show we’ve played since the album dropped, I tell the crowd that “Circuit Breaker” is my favorite song. The guys tease me about it but I was really drawn to that song while writing / recording it and I really enjoy the mix. I also enjoy it because the process of creating that song was really different from the others. It was exciting to try new things. 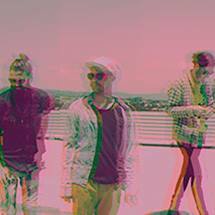 Your worked with White Sea (M83’s Morgan Kibby) on this album. How did that relationship come about? Michael: We had been taking a lot of meetings with producers and it was getting pretty exhausting. We had never invited anyone else to be a part of our creative process so they had to be right. Our manager was good friends with Morgan so we took a meeting with her and right away we knew she would be a great fit. I think that was her first album as a producer and we joke that she’ll probably never do another one! No no… but in all honesty she’s extremely talented and it was a pleasure working with her. How was your most recent tour? I saw that your van broke down and you had to cancel a show. Bummer! Michael: Ughhh! Aside from the breakdown, the tour has been amazing! Lucky for us we have a great crew riding with us (Johnny Wilson playing keys and Tony Tancredi as our TM). Everyone tries really hard to stay positive which is very important on the road. This is our first big headline tour and the fans have been amazing. You can get pretty run down on the road but every night we get recharged by the gratitude of our incredible fans. So far, where have been your favorite venues to perform at and any particular favorite crowds? Where are you most excited to play at next? Michael: Chicago was pretty unreal. We were there three nights and opened for Interpol at Thalia Hall, Spoon at the Metro and then played the Bay Shore Stage at Lollapalooza. 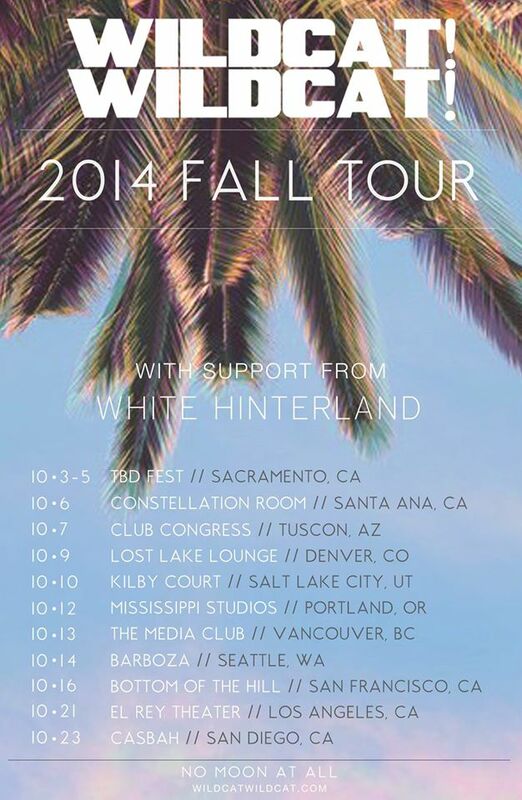 We are currently out on a west coast run which is always exciting no matter what city you’re in. Of course the El Rey in LA will be a special one for us. Thus far, what’s a favorite memory or something funny that’s taken place with you (in-studio, onstage, or elsewhere)? Michael: One of our songs, “The Chief”, has a saxophone solo but unfortunately we can’t afford to bring a saxophonist on tour. But while we were walking around Chicago the day before we played Lolla, we heard this kid wailing on a street corner and decided to see if he would be down to play. Needless to say, he was and actually played at the Spoon show and Lolla. He killed it at both! Who are your favorite musicians today? What music is inspiring you? Michael: That’s a tough question because we all have different tastes in music. I know for me that Caribou record is pretty rad. Bibio’s been pretty great for the barren landscape. I know Jesse T.’s been digging into the new Thom Yorke record. 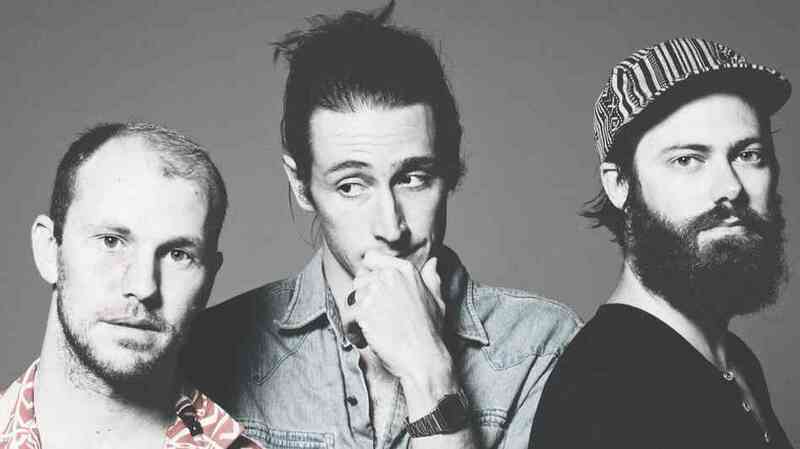 And Jesse Carmichael has been enjoying a lot of hip hop… Schoolboy Q … the new YG record. Michael: Geez that’s a tough one. As as band, I think David Friedman would be amazing to work with. He has worked on some unbelievable records and I think he would bring out the best in us. Michael: As long as they come back they can take away whatever they want!